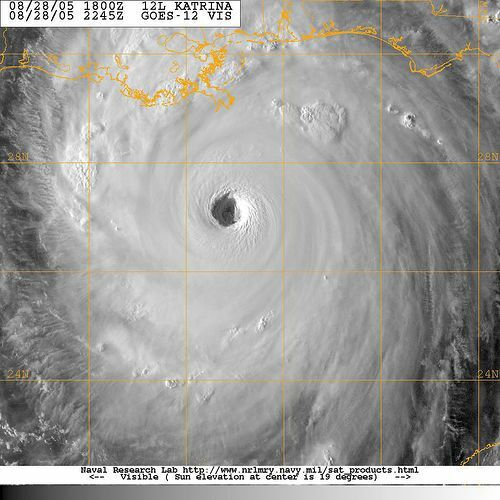 In August 1969 Hurricane Camille struck the Gulf Coast with a slam hard enough to presage the destructive powers of future hurricanes. Buildings were swept off their concrete slab foundations, cars were carried into the marshes, and boats were lofted out of the Gulfport docks and dropped down in the middle of nowhere like Dorothy’s wooden house out of Kansas. The “Ease Point” 80 foot tug was one just such boat, one that found a second life named after the Hurricane that upended its world, a second life that ended sadly but fittingly in a second hurricane. Heyday, with the Moody’s gift shop very much alive. The gift shop is gone, swept off its slab foundation. The front of the wheelhouse (the top) has been staved in. Fenced off for safety reasons. 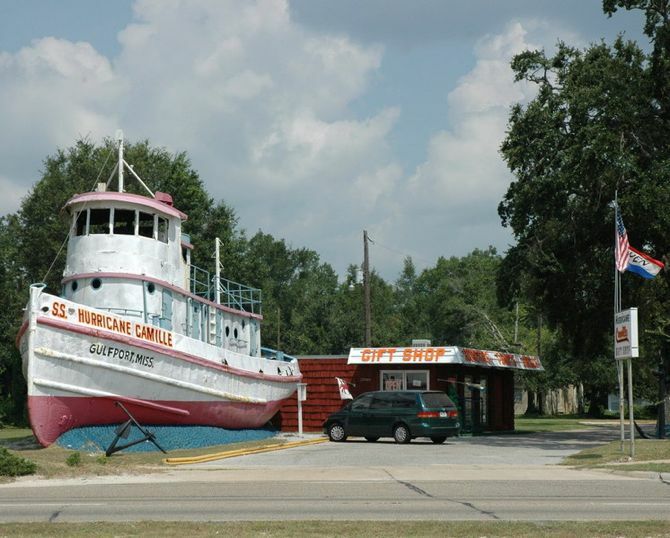 In mid 2008 the owners sold the lot and the SS Hurricane Camille was bulldozed out of existence. It had come to be one of the sights of the town and a tourist attraction. Some 200+ people gathered to watch its demolition. This is another brilliant example of me getting all interested and thinking ‘Oh i would love to go see that one day’ and then finding out that it was demolished! Wow. Great minds and all. I got into a craps group of sorts and took countless trips to the coast between 1994 and 2000. Never once thought to stop in. I went by it so many times it became a fixture that would always be there, like I’m sure so many landmarks that Camille destroyed were. How fleeting life can be. Even for tug boats. Just seeing the picture of s.s. camille brought back so many memories! My mother grew up in long beach after camille just a few miles west of where this boat was. She took us kids to see it many times. I even have several pictures of my whole family standing next to the boat and a few postcards from the gift shop! 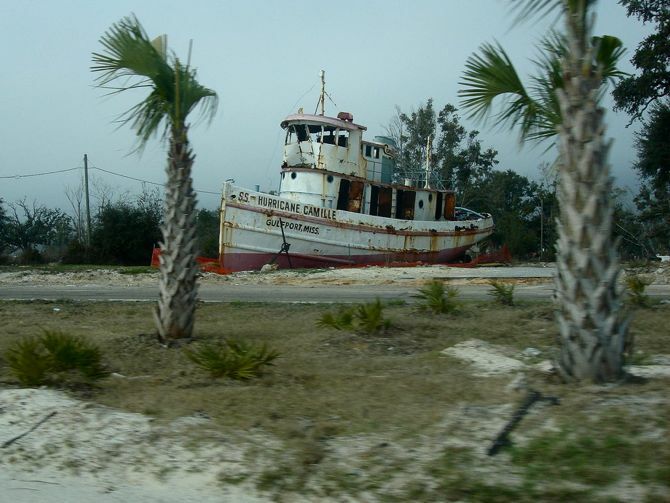 I still live in long beach and remember very well where this boat sat on hwy90 overlooking the beach!! 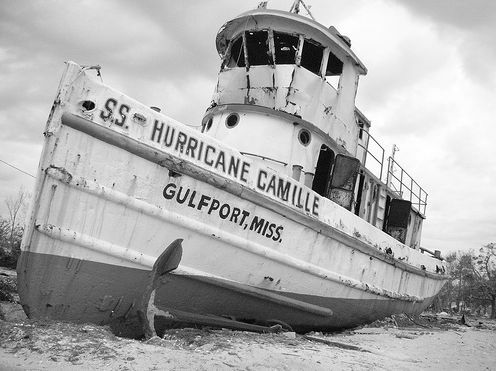 I was 9 when Camille hit the coast, my family traveled twice a year and hwy 90 was familiar scenery for me growing up. We drove right through the devastation no more than a day after it seemed. I can remember how nothing was the same and I remember seeing the big Tug Boat sitting there as we zig-zagged our way along Hwy 90. I could have swore I saw bodies in the trees but my father assured me it was just clothes. 2 years later we are living in Pass Christian, then Long Beach. I was 15 and we had just moved to Cuevas Ms, also known as Pineville. Where I met my first love, he was 16 and fresh out of some correctional center somewhere north. He/his family was from Klin well known name Cuevas…oddly enough he was home just in time for Christmas Holidays and I was new to the neighborhood. Turned out he was on parole for robbing this very gift shop when he was 14 at the time. I’m from Arizona but I had family in long Beach. 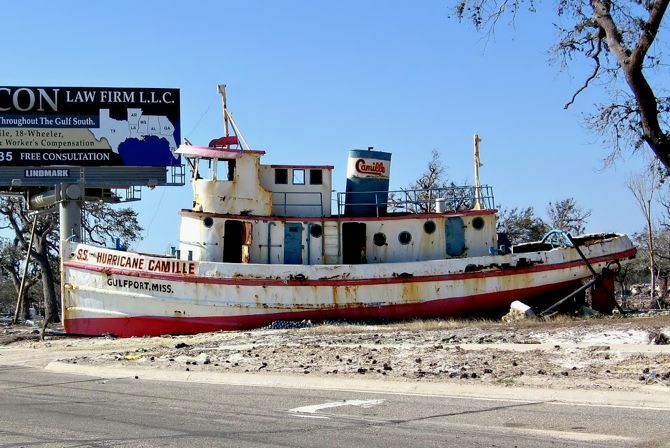 Ever since I can remember when we went to visit, I had to go see the SS Camille in Gulfport. I haven’t been back there in years as my uncle past away in late 80’s. I just today was telling my husband about the Camille, and he found her and I saw what happened. I’m sad this happened to such a favorite place of my childhood. 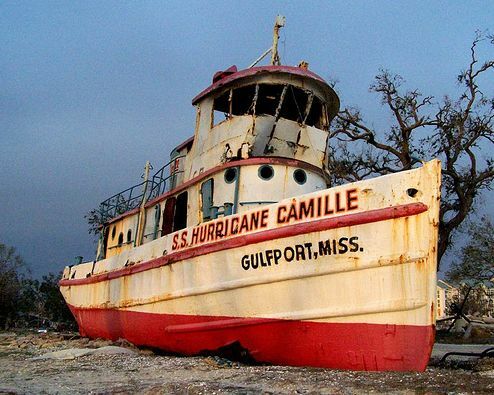 I’m from New Jersey and first saw S.S Hurricane Camile on a road trip from NOLA to Atlanta in 1979. Came back down several times in 2006 to work for Presbyterian Disaster Assistance in the Gulfport area. My Daughter and I slept in makeshift bunks at Handsboro Presbyterian Church. 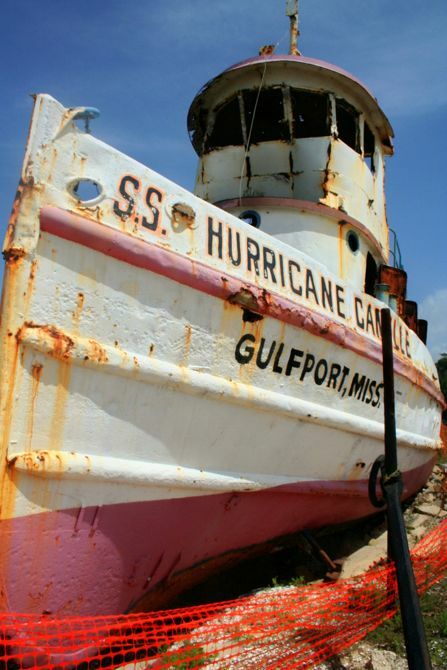 I was amazed that the boat had survived another devastating hurricane, when all the properties around it had been washed away. I was just searching out of curiosity and I’m sorry to hear it’s gone.